Is it possible to set a tax rate for a specific group of items all at once? In North Carlolina, there are different rates depending on what the item is. It would be much easier to multi-select a group of items and make them a specific tax rate instead of doing it individually for each item you have in your list. Hi Tom, thanks for your suggestion. We may consider adding different tax rates going forward. 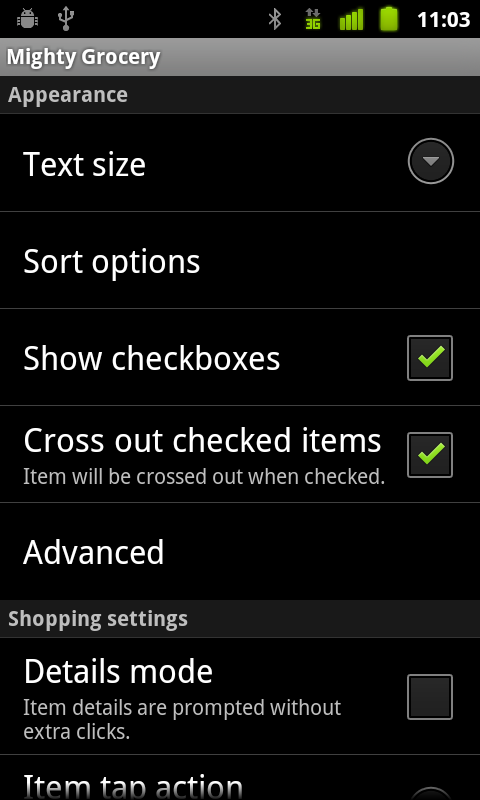 In the meantime you can set a certain tax rate as default by tapping tax field and selecting “Set as default”. This might be helpful if you add items with the same tax rate one after another. I just downloaded this app so far I like it but I was wondering if there was anyway to sync your recipe ingredients to your shopping list. Is that even possible? Hi Gia, thanks for your question. 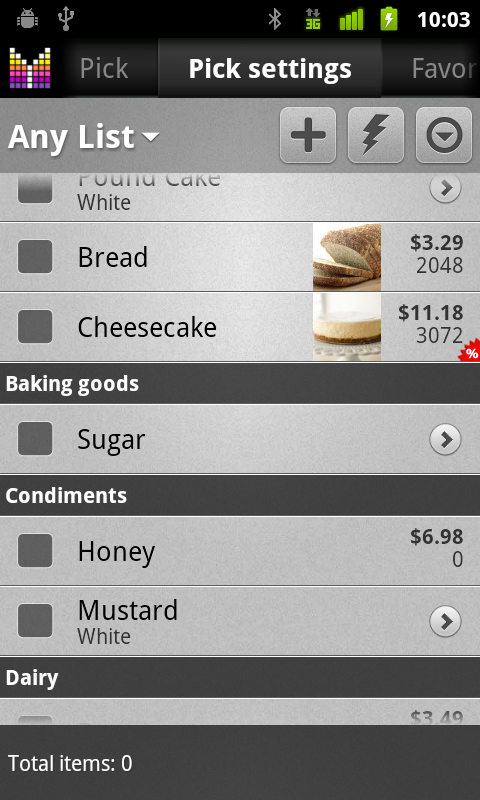 How would you like to sync recipes with shopping list? 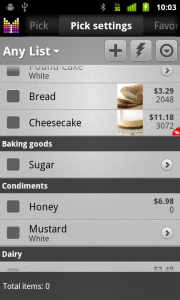 Kindly note that it is possible to add ingredients from recipes to shopping lists. For more details please see Recipes User’s Guide. Is there a way to automatically have taxes added when adding an item? Our taxes here are 9% one everything, food included, and having to add taxes is one more unneeded step. Other than that, I love the app, especially the coupons and experiation dates. Hi Maggie, thank you for your question. Yes, in the new version 1.2 it is possible to set any tax rate as default. Set the tax field of any item to the value you want, and then choose “Set as default” in popup menu which shows up when you tap the Tax field. This option works for all new items. You will need to change the tax rate for existing items though. i created my own product catalogue via the import feature and now i would like to transfer all my products into the favourites. Do i have a mass operation for selecting all products? Hi Bernd, thanks for your question. 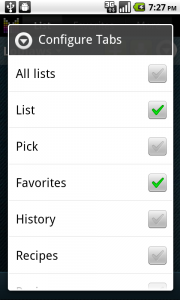 Unfortunately, there is no way to add multiple items from Pick list to Favorites. We didn’t expect anyone will add all the items from Pick list to any list. Will consider this going forward. 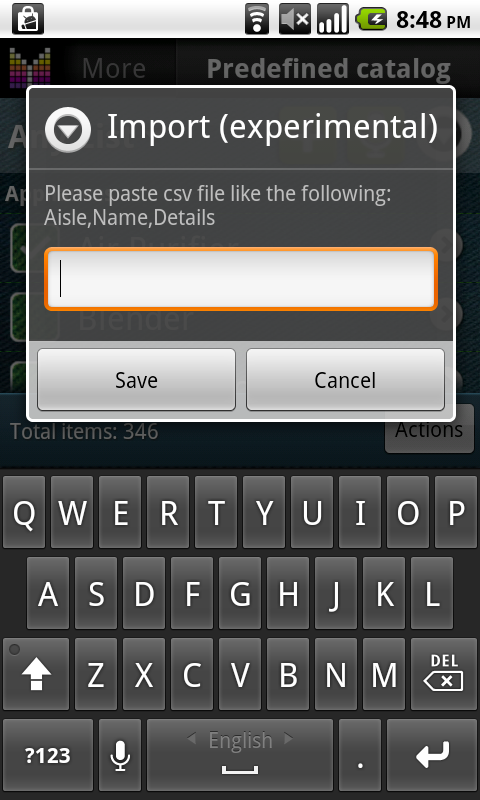 I have the full version of Mighty Grocery and downloaded An app to print wireless to my printer (hp ) . 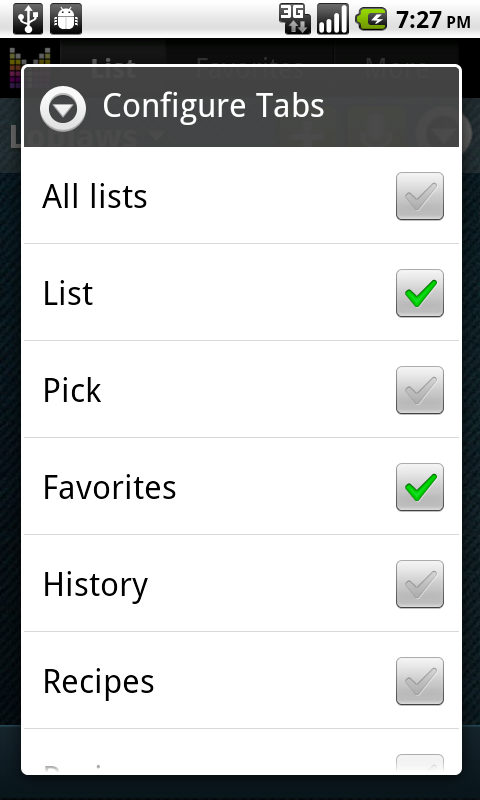 I would like the option of printing the picklist but when I go to print it indicates no data found . can you add an option to save to PDF? I can print PDFs easily and they are much more accessible then sending email which I need to receive before I can print it. Hi Jon, thank you for your suggestion. We may consider adding print option going forward. In the meantime you may want to try printing shopping lists from My Mighty Grocery site. Would it be possible to be able to select the recipes module directly from the home screen? 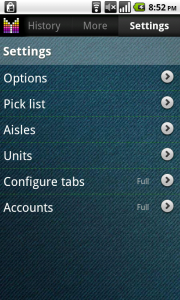 Right now, I have to select an option first and then select recipes from the tab bar. This is not a great hassle, but it would be nice to br able to do. If there is a setting to enabe this, I haven’t found it yet, but I’ll keep looking. Hi Larry, thank you for your question. Yes, it is possible to select Recipes on the home screen. 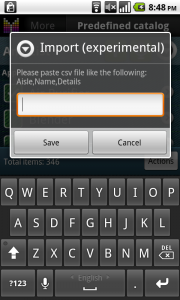 Just slide the 2nd button to the left a few times to select the Recipes option. 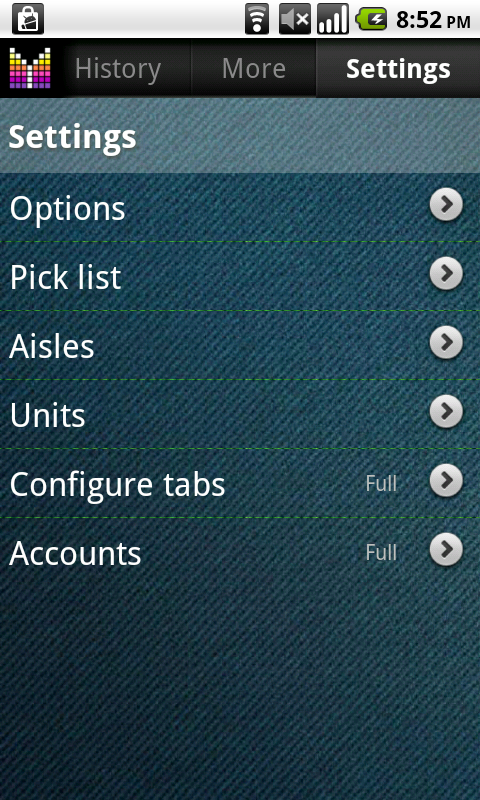 See Home Screen User’s Guide for more details. 1/2 teaspoon. I use cups too. 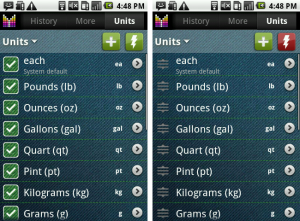 How do you configure units for cups? Kindly note that we plan supporting fractional quantities going forward. For now, I’d recommend using decimal numbers such as 0.5, 0.25, etc. 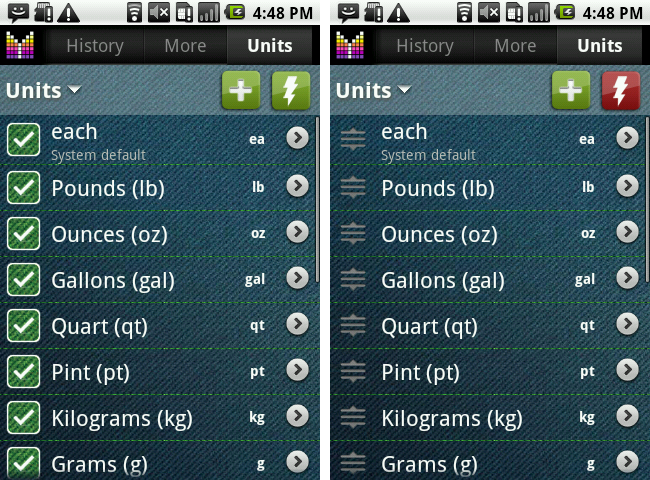 As for configuring units, I’d recommend seeing Settings User’s Guide. Hi. When I start up the app nowadays it always starts on the annoying intro page. It used to go straight to my shopping list which is what I would prefer. I can’t find a setting for this. Can you help? Thanks. Hi Phil, thank you for your question. Sure, please see Widget & Shortcuts User’s Guide for more details. Was really loving the advanced features within the Full Version -UNTIL- I had to do a Master Reboot on my phone because it was confused with reality. Yours, as well as, all of my other Paid programs allow the function of moving everything to the SD card. They all have some sort of, recognizable database file & the ability to export to it & import from it. In this case, after the master reset, then restoring all of the files back to the SD card, “I lost all of my items that had barcodes & pricing”.. almost 2 months of focused effort. :-(( You & I have talked about your Beta import scheme with me telling you that 3 col’s are not enough to define your data, especially when there is no export scheme to know how it is even laid out. Very saddened by the losses & it’s time to go shopping again. Hi Toby, thanks for your feedback. I am really sorry that your data got lost. Kindly note there is a backup feature in Mighty Grocery which allows saving all your data, including product catalog, barcodes scans, etc. I’d recommend creating backups often to keep you grocery data safe. Again, I apologize for the inconvenience. We are going to introduce backup reminders soon. Having a bit of a struggle with Qty after reading the above still. Is it me, or is the ‘.’ missing in order to enter Qty such as ‘.5′ kg? So tonight for the first test run of the app, I see asparagus on sale at $5.47/kg ( I live in a tourist town!). So if I place .5kg in my cart, I assume I should edit the Qty first to the actual amount I just placed in the cart. I can’t seem to figure out how to do that. Disregard, it turns out that the keypad was defaulting to ‘Big Buttons’ keypad, and it does not show the ‘.’. 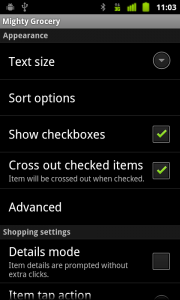 When I changed the default keypad to Samsung, I finally got the ‘.’. I thought it was real weird that you would not give a decimal place, so that’s why in fact I went to investigate it further. SO there’s a head’s up for anyone that useds ‘Big Buttons’ keypad. John, kindly note that any non-digit symbol works as decimal separator in Mighty Grocery for usage convenience.